Ace Engineering is run by Managing Director Peter Tyrrell. Peter has over 30 years vast experience in the shutter business. In 1994 Peter setup Ace Engineering which has continued to grow from strength to strength. A small professional company we pride ourselves on our high level of customer service. We are based in Dublin but we serve locations all around Ireland. We supply a large range of physical security products. These products include; security roller shutters, insulated shutters, fire rated shutters, commercial shutters, industrial roller shutters, retractable security grilles, Trellidor security grilles, access barriers, anti-ram barriers and posts, garage doors, steel doors, fire doors, sectional overhead doors, smoke and fire curtains and screens, PVC strip curtains and many other physical security products. We can fit your steel and security doors, roller shutters etc. to your requirements. 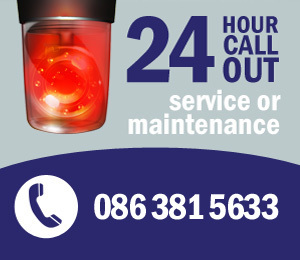 Call us in Dublin today on 01-8314882 for a no obligation quote. Our experienced engineers can help you with specifications and all other requirements for your project. We are a main supplier in Ireland for Trellidor Security Grilles, which are manufactured by the Trellidor Security Group. This grille has an attack test on it which makes us unique in Ireland as no other Shutter company currently offers this. These Attack Test Grilles are a preference for the Police and all Insurance Companies and Crime Prevention Officers highly recommend them. Ace Engineering offer a full after sales service for all of our clients. If required, we can call out and give you a free survey and offer expert advice on Trellidor Security Grilles, Roller Shutters, Steel Security Doors, Access Barriers and any of the other Products that we supply. Please don’t hesitate to contact us.